Communication is a vital element for the effective operation of any business. Business owners who want to get their company working at maximum potential should invest in a good business communication strategy. There are many advanced ways to communicate these days. Though smartphones are good, there are many counterparts that can work more efficiently. 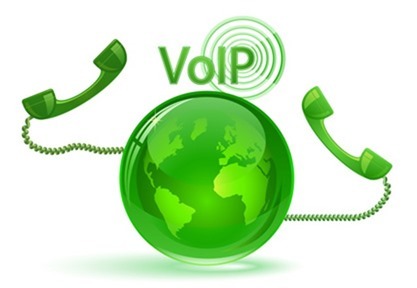 VoIP (Voice over Internet Protocol) is one such technology that is based on internet connection rather than phone lines. Let us take a look at how the VoIP system makes for better business communication. VoIP for business lets a business function much faster by providing superb quality of sound in calls. Moreover, VoIP service helps easily place conference calls so that associates can talk with each other simultaneously. The system makes it easier to deal a large amount of data which would otherwise slow down the phone network. On the contrary, VoIP may not be an economical option especially when you need many connections. Therefore, you have to discuss with your VoIP service provider about the appropriateness of the VoIP system so that it fits your current budget without extending it. In certain cases, it might be very effective to avoid cheap VoIP service providers and invest in a little more setup. An ideal setup can result in great potentialities of the network you establish. For instance, you can go for a DSL connection for VoIP and this will let you allocate a good amount of bandwidth for the purpose and will ensure that you can make a lot of calls simultaneously without worrying about bogging down the network. Finally, if your business keeps developing all the time, then it is a good idea to think about future improvements and discuss with a company that offer VoIP system services. When you do a potential business, you will find it necessary to get a Business Phone System to deal with the communication load. You are advised to plan in advance regarding the extension of a VoIP network because it is difficult to take large-scale decisions at once. Also, sometimes it may be impossible to upgrade the whole system in a short time, particularly if your business has been spread to many buildings. Thus, using VoIP system you can make and receive calls through software. The benefit of having VoIP system is that it lets users to call others, just like you would on a traditional phone, but the person who receives the call will not know your location. People who go away from their company for a specific period of time can get benefit from this system as they can connect with their workers and clients easily. This way they can keep track of business operations and other activities even they are not physically in the office. I think one of the most important factors of VoIP for business is the scalability that it offers. Businesses that are just starting out can easily get a smaller phone system and upgrade to more lines without a lot of investment as their business grows.